POMMARD – One of the most respected and well-known winemakers in all of Burgundy, the Domaine Parent moved from Volnay to Pommard in 1803. One of their early customers was Thomas Jefferson, who brought these wines back to America to share with our forefathers. Anne’s ancestor, Etienne Parent, was Jefferson’s personal advisor, friend, and confidant. In fact, Jefferson took cuttings from the Domaine Parent vines to plant at Monticello. Unfortunately, the climate in Virginia is not conducive to growing Pinot Noir; so the vines did not survive. Still, this is a unique tie to American history. Anne is a lawyer by training. Along with her sister, Catherine, she took over the estate in 1998, thus becoming the 12th generation of winemakers in this family. The wines simply get better and better each year. Anne has incredible energy and drive. 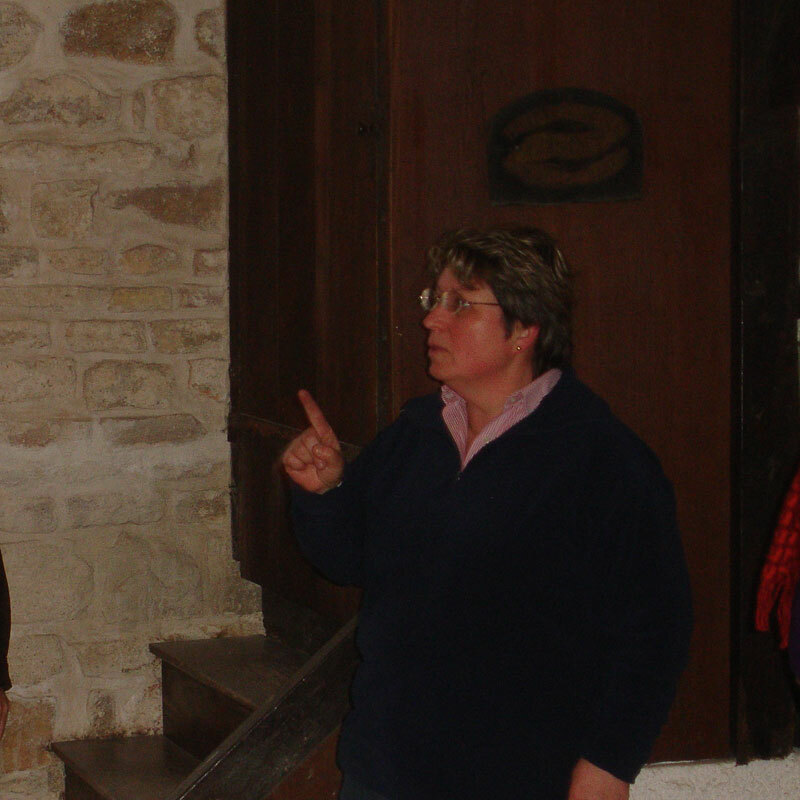 In fact, she founded the Women’s Winemaker Association in Burgundy and was its first president. Today, when Anne Parent replenishes her vineyards, she grafts vines onto the old rootstock in order to preserve the “history” of the family’s vineyards. And this is truly a family affair. Seven family members do all of the work at the domaine. In Pommard, there are 70 winemakers and this family is proud to be counted as one of the top few. They have some of the choicest parcels of vines in Pommard; so they want the wine to start with the best fruit. They harvest by hand. Then, they visually inspect and sort every grape. The Domaine Parent was also the first family to analyze the grapes and the soil in order to pursue more environmentally-friendly winemaking. Their wines are actually made organically, but they do not put that designation on the label. Anne makes truly expressive wines in the traditional Burgundian style. She says that there are no bad vintages, just bad winemakers. Furthermore, she says that the great winemakers can make good wine in any year; they may just have to make less of it in a difficult year. Anne Parent is a top winemaker who makes great wines that show incredible depth, complexity, and balance. Please call us to learn more about our Parent, Anne Wines and their availability.